How do you choose the friendliest towns in America? Do you look at statistics like the crime rate and the number of charitable agencies? Or do you prefer feelings over facts and figures, like whether the town has pretty gardens that invite strolling and socializing, or whether the pace of life seems relaxed? There are tons of ways to ask the question, and many organizations have done so: TV shows, magazines, travel bureaus. We've read through numerous lists and gleaned the best of the best: the towns that won repeat honors—or that just plain leapt out at us as places where we'd like to plan a girlfriend getaway or perhaps even considering making our new town. Enjoy reading about these gems, and don't be surprised if you end up packing your bags to visit a few of our choices. 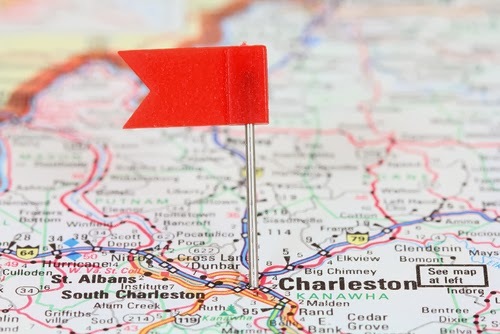 Southern hospitality was well represented in our survey, and Charleston is one of the most frequent names mentioned. The gracious harbor city and tourist destination has even gone international: Last year, it ranked #5 on Conde Nast's list of “Friendliest and Unfriendliest Cities in the World.”. If you're looking for an easygoing pace of life with antebellum architecture, historic streets and courtyard gardens to go with the charming locals, many folks say Charleston is the way to go. Southern charm aside, there's something to be said for Midwestern conviviality. Deemed “underrated” Frommer's put Cleveland on the top of its list of friendliest, citing the safety, helpfulness to strangers, diversity and an interesting, open cultural scene. The Cleveland scene includes the Rock & Roll Hall of Fame, neighborhood boutiques and cafes, and Playhouse Square Center, the second-largest performing-arts center in the nation. This town of 13,000 earned a gold star in 2013 when judges from Rand McNally's annual Best of the Road contest crowned it the friendliest town in America. The judges called it a place “where colorful murals celebrate civic pride and history and where good cheer, genuine courtesy, and community service are hallmarks.” Murals are a big deal in Kewanee, which for 20 years has held a “Walldogs” meet attracting more than 250 sign and mural painters from around the country. Many of the painters are hosted by town residents, who also pitch in to help create the murals. The city's website even has a special section for “Volunteer Opportunities,” listing off such groups as: the Kewanee Animal Shelter, Kewanee Greeters, Goodfellows Christmas Baskets, and the local food pantry. Many people look at how bike-friendly a town is when measuring ambience, and with good reason. People who get out of their cars are often more likely to interact and get to know their neighbors, and slow down to an amicable speed. Davis, a university and agricultural town in Northern California, has nary a hill, but an abundance of bike circles, lanes and racks. Neighbors also mingle at farmers' markets, cafes and events on campus, which include the spring Picnic Day open house, which is why this town also found itself on the Today Show’s Friendliest list. Located in suburban Seattle, this town of about 47,000 is also a new town; it was incorporated in 1999. It's an affluent spot with neighboring snowy mountains, lake views and lots of high-tech workers and homeowners. Because crime is low and outdoor and cultural activities high, Sammamish caught the attention and a high ranking on Forbes’ Friendliest list for 2012. And friendly it is, as there are opportunities galore to make friends while skiing, hiking, cycling, golfing or attending a myriad of events: Shakespeare in the Park, arts fairs and the local jazz festival. Airbnb, the short-term rental service, is all about hospitality, so if hospitality is top of your criteria for friendliness, then the site suggests you check Tampa out. Criteria included the “quality of communication” between guest and host, along with cleanliness and general niceness. The warm weather and bay views may also help make everyone cheerful. And Tampa is especially friendly to the young and young at heart, as it has also been ranked a top party city by many sources.. They're so nice you'll say it twice. And you're unlikely to cry over your treatment by these pleasant residents, despite the town's renown for growing sweet Walla Walla onions. The town's warmth may have something to do with the satisfaction of a good meal, as its reputation as a food mecca is also strong. Nearby vineyards make for a terrific wine-bar scene downtown, which is enjoying a recent renaissance in popularity. The area is also rich with outdoor-recreation offerings like boating, fishing and camping. And when it comes to pure friendliness, the town has been honored by both Frommer's and Rand McNally in recent years. We’ve made our list, and can’t wait to check out these US gems in person. And we're sure you have a few of your own to add to our list. So, tell us, what are your favorite “friendly” cities? I definitely agree with Tampa and Charleston! My boyfriend lives in Tampa. I'm from NJ so whenever I go and visit him I'm really blown away by how nice everyone is! Charleston is definitely another great one as well. Actually, my boyfriend and I are looking into reasonable South Carolina real estate options with the intention to move there in the near future. We love how friendly everyone is and we think it will be a really nice change for us.